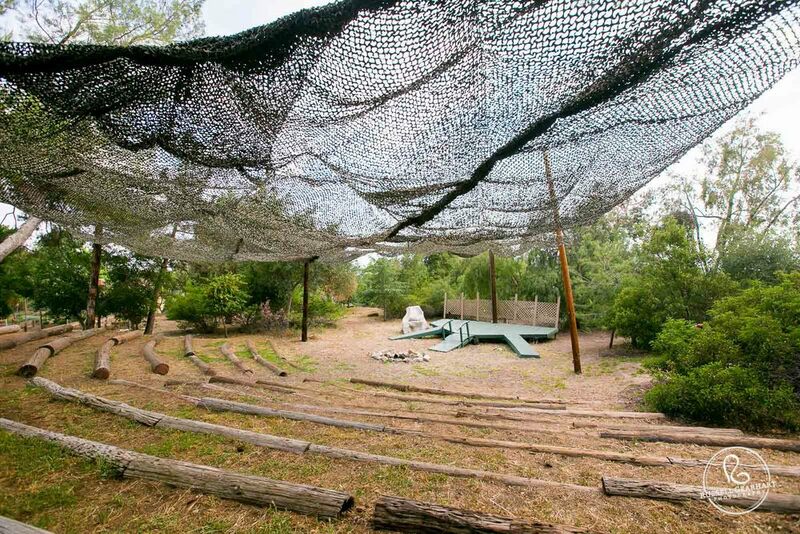 We own and operate the 57-acre property, at the edge of the Angeles National Forest. Known as the Angelus Mountain Center, the site is the home of all three of our camps: Summerkids, SK-PreK and Summer Challenge. It is a safe and secure location (completely fenced) that includes beautiful meadows, streams, lodge, cabins, pool, sports fields, a 1,200-square-foot garden, hiking trails, an obstacle course, a chicken coop and much, much more. Originally known as Camp Chiquita, our campground has been dedicated to the use of children since 1946. In 1955, famed local architect Boyd Georgi designed the lodge we enjoy to this day. We treasure both the history and the future of this very special place. We welcome all present and future parents to visit our site on our annual Open House (usually the first or second Sunday afternoon in June). Regretfully, we cannot give tours at any other time, but we hope the photos to the right will give you a preview. There are more pictures of what we do at camp at our programs' individual pages.